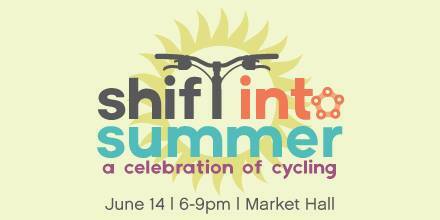 At Shift into Summer, we will have a myriad of door prizes, updates on local cycling infrastructure and programs, and some cycling-centric entertainment. Free valet bike parking will be provided. Everyone interested in cycling is welcome! There is no cost to attend.